The 2018 Annual Report is the first report of the UNISDR 2018-19 Biennium in contribution to the UNISDR Work Programme 2016-2019. The report provides an update on UNISDR's three Strategic Objectives and two Enablers. It reviews the achievements of the five Regional Offices: Africa, Americas, Asia-Pacific, Arab States, and Europe. UNISDR is 99.2% funded through extra-budgetary resources from voluntary contributions, with only one post currently funded from the United Nations Regular Budget. Over the course of the 2016-2017 Biennium UNISDR raised US $57.6 million, out of an initial requirement of US $74.9 million. While not meeting its financial target, UNISDR could count on significant in-kind contributions, most notably towards the 2017 Global Platform. Un-earmarked and flexible funding is therefore vital to ensure UNISDR’s ability to implement its Strategic Framework. Un-earmarked funding, contributed directly to the delivery of the entire UNISDR Work Programme 2016-2019 and is reported against through UNISDR’s Annual Report. The Results-Based Indicators Report to measures progress against the Strategic Objectives and Enablers will be posted on this webpage in May 2018. Support GroupAccess the workspace by following this link. Login is required. 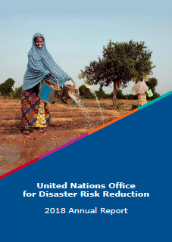 Among all UN Member States and observers, political and financial support for disaster risk reduction initiatives is raised through the UNISDR Support Group. This process ensures that information is shared between UNISDR and all UN Member States in the field of disaster risk reduction. The Support Group was established in 2005 to follow-up on the process of the World Conference on Disaster Reduction held in Kobe, Japan, that year.